There's just something about Scotties! 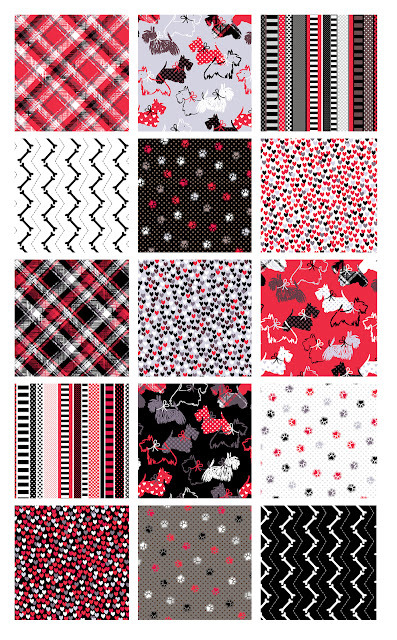 These perky little dogs are full of fun in a red, black and gray palette. From paw prints to a Scottish plaid (of course!) to hearts and stripes, these furry friends will melt your heart. And did we mention the line also comes in flannel!?! 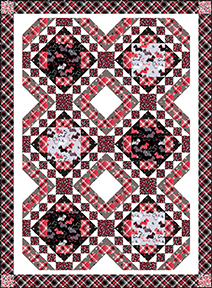 Show your Scottie love with the "Scottie Trot" by Heidi Pridemore, a free quilt pattern available on our website. Click here to find it in flannel! Since we're sharing Scottie Love today, it's the perfect time to point out that October is Adopt-a-Shelter-Dog-Month. 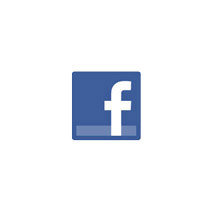 We'll be sharing more about this next Wednesday--stay tuned! These are cute fabrics. I adopted my shelter animals a year ago. Life hasn't been the same. I love Scottie dog quilts.